dhamma musings: Was The Buddha Really A Businessman? Normally I wouldn’t trust a man who wears a pink tie with green, yellow and white spots. But I make an exception when it’s Prof. Gregory Schopen, far and away the most eminent contemporary historian of Indian Buddhism. 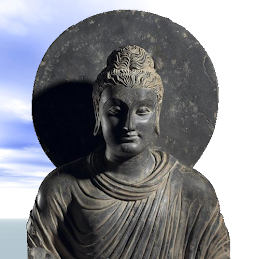 Schopen researches have given us a deeper, more detailed and more realistic picture of Buddhism, particularly Buddhist monasticism. In this video Schopen delivers a paper on monastic involvement in business and finance, together with his usual cheeky comments and humorous asides. I only take issue with a few things he says. 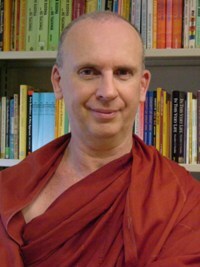 Schopen is referring to Buddhist monasticism as it became at least 500 years after the Buddha. To say that ‘…the Buddha’s monastic community was not modeled…on a religious institution, but on a commercial one, the craft or mercantile guild’ is certainly true of fully developed monasticism, but not of early monasticism as depicted in the Pali Sutta and Vinaya Pita kas. These texts are unambiguously hostile to money, financial dealings and even barter. When Schopen says ‘The Buddha said…’ which Buddha is he talking about? He’s talking about of the Buddha as he came to be conceived in the post-first millennium period, not the Buddha of the Pali Sutta Pitaka. 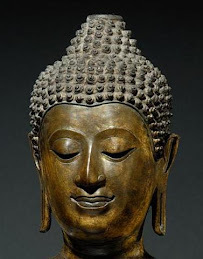 Most of what Schopen attributes to the Buddha actually comes from the Mulusarvastvadin Vinaya, a text dating from after the 1st cent CE and composed in north-west India – a long way in both time and space from the real Buddha. The Pali Vinaya on the other hand, dating as parts of it do from two, perhaps even three hundred years after the Buddha, does contain the beginnings of this compromise with worldly values. I’ll give you but one example. The Vinaya tells us that once some monks leased out their fields to a farmer who sowed it with his own seed, and on another occasion they leased out their seed to a farmer who sowed it in his own fields. The Buddha is represented as saying that in such cases the monks should take a percentage of the harvest, although what amount is not given (Vin.I,250). The commentary suggests 10%, quite a reasonable amount by usual feudal standards. This rule must have been composed at a time when monasteries owned land, when they had enough grain to be able to lease it out and when they collected rents in kind. It also implies that they entered into (written) contracts, that they kept records of their dealings with tenants, that they had granaries to store excess grain, and almost certainly that they had ways of enforcing agreements when they were broken. It’s only a few steps and a few hundred years from this to what Schopen is describing. But even in this case, the land, grain and the income from it was clearly the property of a corporate body, i.e. the monastery, and was owned jointly by all the monks. But we also have stories in the Vinaya showing that monks were starting to own private property apart from their eight requisites - land, villages, slaves, etc. 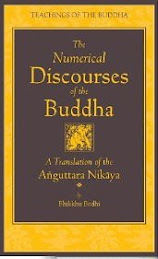 Although Schopen is always reluctant to say so, working out a chronology of Buddhist texts is possible, and the Pali Sutta Pitaka is generally older than the Viniya Pitaka, and both are much older that even early Sanskrit Buddhist literature. Now on that occasion Maniculaka the headman was sitting in that - assembly. Then Maniculaka the headman said to that assembly: “Do not speak thus, masters. Gold and silver are not allowable for the ascetics following the Sakyan son; the ascetics following the Sakyan son do not consent to gold and silver; the ascetics following the Sakyan son do not accept gold and silver. They have renounced jewellery and gold; they have given up the use of gold and silver.” And Maniculaka was able to convince that assembly. “For sure, headman, when you answered thus you stated what has been said by me and did not misrepresent me with what is contrary to fact; you explained in accordance with the Dhamma, and no reasonable consequence of your statement gives ground for criticism. For, headman, gold and silver are not allowable for the ascetics following the Sakyan son; the ascetics following the Sakyan son do not consent to gold and silver; the ascetics following the Sakyan son do not accept gold and silver. They have renounced jewellery and gold; they have given up the use of gold and silver. If gold and silver are allowable for anyone, the five cords of sensual pleasure are allowable for him. If the five cords of sensual pleasure are allowable for anyone, you can definitely consider him to be one who does not have the character of an ascetic or of a follower of the Sakyan son. Please delete earlier post if it's too long! I should have previewed first. Who's teachings are you following? Mostly I like your blog. But more and more you style it tends to become what one definitely can define as delusion of the buddhadhamma. Is that your purpose? Your question is not at all clear to me. Please rephrase it, give me an example of what I have said that you disagree with, submit it and I will do my best to answer it. In your blog you are writing about many things which are only superficially connected with Buddhism. Wouldn't it be more beneficial putting effort in offering guidance and support in Buddhist training? Thanks for the comment. I went back and looked at the last 30 posts I’ve done. Only four – January 11th, 18th, 19th and 29th – do not directly mention Buddhism and two of these are an attempt to give a better understanding of another religion. I honestly think that’s quite okay. Whether the others deal with subjects that are only ‘superficially’ related to Buddhism is, I think, related to how you see Buddhism. I see it as a multifaceted phenomena encompassing philosophy, ethics, the arts, psychological training, history, monasticism and many other aspects of life, and I try to deal with all of these subjects from time to time. And of course, if you find my posts unrelated to your particular vision of the Dhamma I’m sure a quick scan of the internet will turn up something that is of value to you. I seriously disagree with your basic assumption that the Thing described in those pali texts that you deem to be "the oldest strata" is really what you call "the original thing", ie "the buddhism-thing". I think the truth is really far removed from that. If you want to say something about this issue you you have to base your views on the existing textual material, it seems. Therefore I want to point out the following probable course of events: Buddha did in fact turn three distinct Wheels of Dharma, as the Northern tradition maintains. 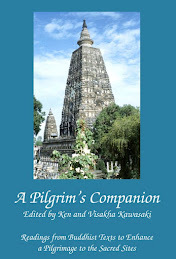 What we call the Sthaviravada-branch accepted only the first of the three Dharmachakras, but these Three were well known in India during the first 200... 300 years of buddhism, and this is why the existing Theravada canon says that the teaching of the Four Noble truths constitutes the Three Turnings!! This claim does not make sense at all, but it proves that the Three Turnings did in fact take place during the Buddha's life time. Wasn't sure where to post this question so I'm just taking it on to the most recent post: wondered if you'd seen this post (http://www.outlookindia.com/article.aspx?264459) and what your reactions were to it. It looks like a fascinating book (Stephen Batchelor, "Confessions of a Buddhist Atheist"). Also wondered what your take was on the article/book. Also wanted to say how much I enjoy your blogs. I always look forward to your new posts.